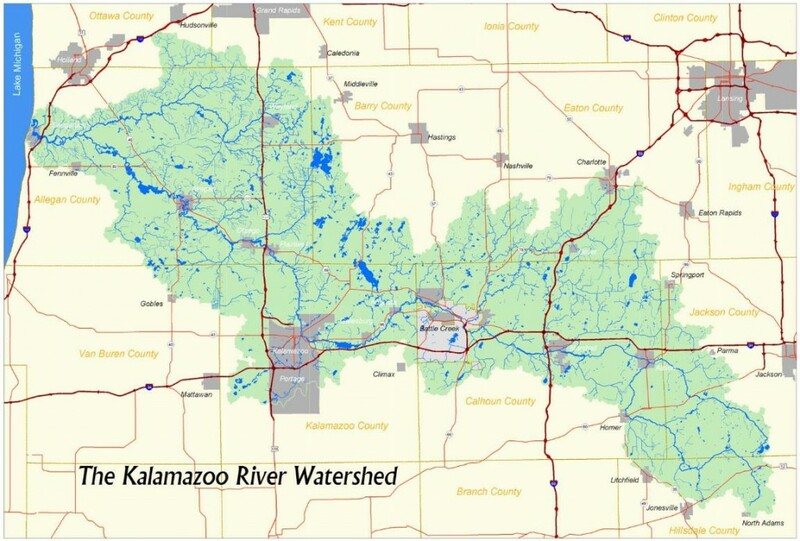 One of the most common questions we receive here at the Kalamazoo River Watershed Council is “What’s a watershed?” Well, we’re glad you asked! A watershed is an area of land that drains rain water and snow melt into one location such as a stream, lake, or wetland. Groundwater is connected to the surface water network within a watershed. Both surface water and groundwater supply our drinking water, agriculture irrigation, and manufacturing. The watershed offers opportunities for recreation, like fishing and canoeing, and provides habitat to numerous plants and animals. Unfortunately, various forms of pollution, including runoff and erosion, can interfere with the health of the watershed. Therefore, it is important to protect the quality of our watershed and use the resource in a sustainable way. Why Do We Need Healthy Watersheds? Watersheds sustain life, in more ways than one. According to the Environmental Protection Agency, more than $450 billion in foods, fiber, manufactured goods, and tourism depend on clean, healthy watersheds. That is why proper watershed protection is vitally important to our communities.